In this article, you will learn how to set up your Domain Name Server (DNS) settings to point your domain to the WebOrion™ network on GoDaddy. Once your domain points to our network, your website will be fully protected and accelerated with the all-in-one WebOrion™ Suite. Next to the domain that you want to change, under the Action section, click on the “Manage DNS” button. Host: Enter the subdomain portion of your domain. For example, if your domain is www.xyzcompany.com, enter www. If you had previously purchased an SSL certificate from GoDaddy and you want WebOrion™ to serve your certificate instead of the free WebOrion™-managed SSL certificate, you will need to download your certificates from GoDaddy as well. Go back to your GoDaddy dashboard, and select “SSL Certificates“. Click the “Manage” button. Click on “Download” to download the certificate. 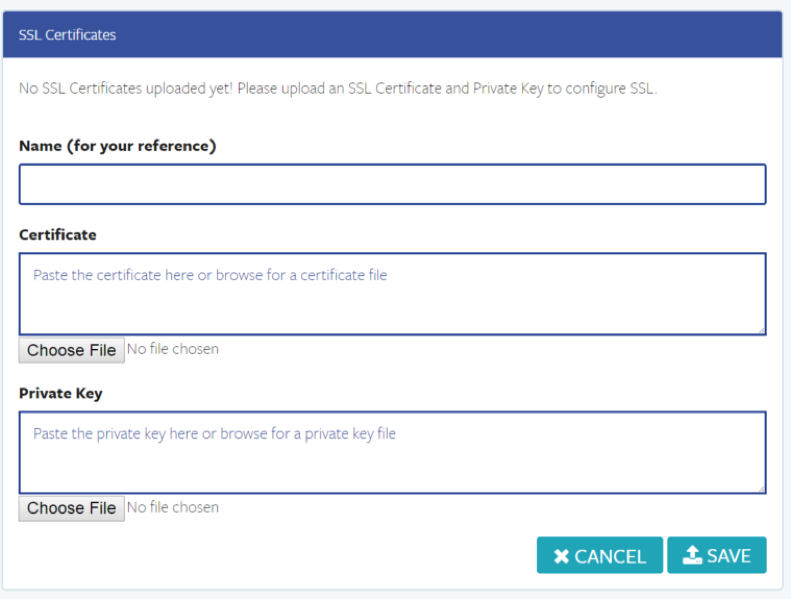 Copy and paste / upload the downloaded certificate into the WebOrion™ management portal, by going to CDN & Web Server > SSL Settings.